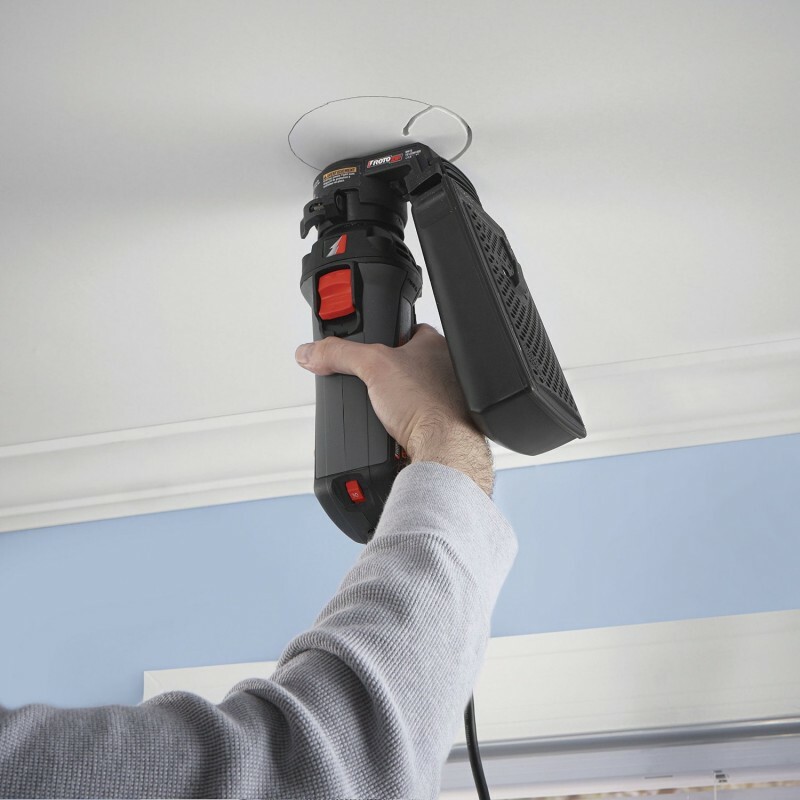 The RotoZip is great at quickly cutting into drywall to make way for wall outlets, lights, plumbing and more. Another thing it is good at is coating everything nearby in a fine powdered drywall mess; but now it seems the new Dust Vault attachment will eliminate most dust, and it doesn't even require an external vacuum. Dust is a huge problem on jobsites—especially renovations—and contractors are becoming more concerned about collecting it at the source. With the Dust Vault attached to compatible RotoZip Saws, it is capable of collecting 90-percent of the dust created. The Dust Vault is powered by the motor of the RotoZip itself, so you don’t have to worry about the extra weight of an external vacuum or bulky hoses. The Dust Vault is compatible with the RotoSaw, RotoSaw+, RZ1500 and RZ2000 and will retail for about $30 starting in June. It is also available in a kit with the RotoSaw+ for about $100, coming later in the month. The RotoSaw+ has a large 6.0 Amp motor, making the tool powerful enough to take on tile and granite, and still have enough juice to power the Dust Vault.